Mobile phone signal boosters only amplify specific frequencies of RF signal which pertain to specific operators ( EE, Vodafone, O2, Three etc.) and mobile networks ((2G, 3G or 4G LTE) on those operators. Before you purchase a signal booster you need to make out which operator(s) you need to support, as well as which networks on these operators, as that determines which signal boosters you'll be able to use and which type of outside antenna you will need. 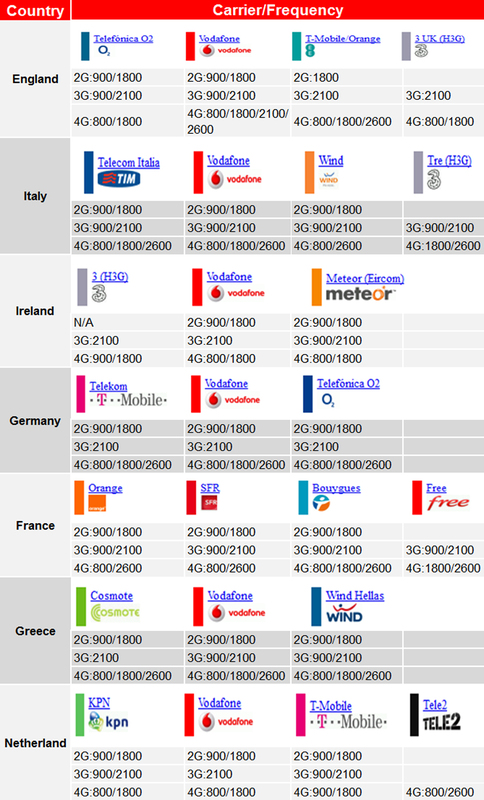 Most European operators use the same frequency of 900/1800 MHz for 2G voice calls, 2100 MHz for 3G data and 800/1800/2600 MHz for 4G LTE network which currently only handle fast data, so the same signal booster can be used to amplify all of those operators network at the same time. HiBoost quint band signal booster can support all of those frequency and network. But if your buget is limited, then you will take some time to choose a mobile phone signal booster that is specifically designed for the specific frequency and network. Take an example, when you live in England and want to support 2G voice call of O2, if you know the detailed frequency such as 900 MHz or 1800 MHz, you'll just need a single band signal booster that support 800 MHz or 1800 MHz. If you don't know detailed frequency your mobile phone is using. The best way to purchase a dual band signal booster that supports both of 900 MHz and 1800 MHz at the same time.